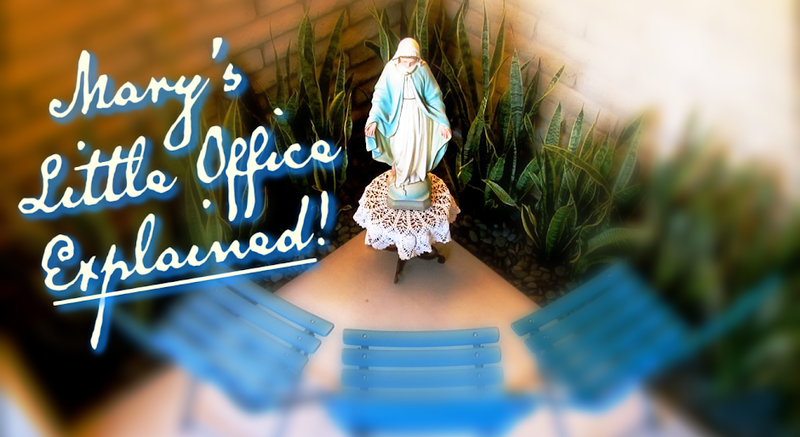 WELCOME to Explanations of the Little Office of the Immaculate Conception of the Blessed Virgin Mary. Published in 1936, T. E. Birds Explanation of Mary's Little Office is much appreciated by the Children of Mary and all who wish to understand it well. Our deep gratitude to T. E. Bird who without doubt has been, by now, welcomed into heaven by Our Lady herself. Please see the Index on the Right Hand Side of this page. God's Every Blessing to you and your family.